Home / arts / Chan Lim Family of Artists & Students holds 35th Art Exhibit in honor of the late Henry Sy Sr.
Chan Lim Family of Artists & Students holds 35th Art Exhibit in honor of the late Henry Sy Sr. The Cham Lim Family of Artists is popularly known in the field of arts for over five decades now. With the use of a wide variety of media, styles, and techniques; they create a fusion of Western and Eastern art, but it is their Asian-themed art and Chinese brush painting that the Chan Lim artists are best known for. Currently, the three generations of the family are actively involved in the arts, with the younger generation dabbling in different types of more modern techniques, such as digital media and audio-visual creation. Chan Lim, the family patriarch, started his career in the arts using oil and watercolor as his main media. Most of his artworks are created on canvas and paper. The second generation was trained mostly in the Asian arts. One of the two older siblings' notable pieces is a panel of pine and plum painting started 35 years ago. The unfinished painting was unearthed in storage and recently finished. As a gesture of filial piety, the family patriarch, Chan Lim, was requested to compose a poem for the artwork entitled "The Journey." The Chan Lim artists have traveled extensively across the Philippines to promote Chinese culture by conducting art exhibits, classes, workshops, seminars, and on-the-spot painting demonstrations. Close collaboration between the Chn Lims and the leadership of the SM Supermalls bring these exhibits to different parts of the country. 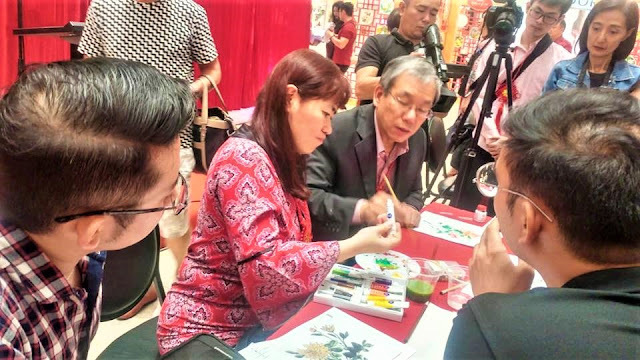 In addition, prominent local Filipino-Chinese non-profit organizations and educational institutions lend support for the free art workshop held in conjunction with the exhibits. All the workshops have enjoyed robust attendance and participation. The Chan Lim's art has certain characteristics that distinguish their work from others. Their artworks are distinctively Asian, with allusions of Western technique. Over the years, the Cham Lims have continuously blazed the trail on the type of media used for the Chinese brush. 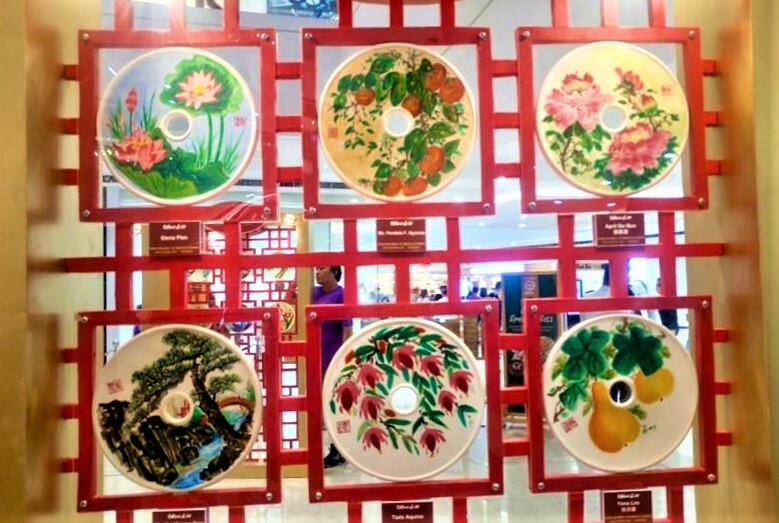 Their art subjects have included flora, fauna, insects, landscape, and portraits painted on media such as lanterns, Chinese fans, porcelain plates, ceramic taels, and rice paper. 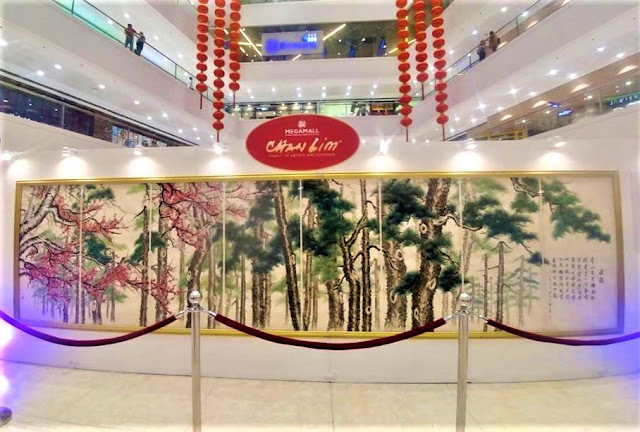 In line with the celebration of the Chinese New Year, SM Megamall and Chan Lim Family of Artists & Students showcase 381 artworks done in Chinese Scrolls, Oil Paintings and taels. This 35th exhibit is made possible by 50 artists and can be viewed at the SM Mega Fashion Hall from January 27 to Feb. 10, 2019. There will also be free painting workshops in the venue on Feb 5, 9 and 10. This year's Chan Lim exhibit is dedicated in memory of Henry Sy, Sr. The Chan Lims hold regular painting classes in the family studio in Pasig City, metro manila. Their artworks may be viewed at www.chanlim.com and you may reach out chanlim@yahoo.com for more info and inquiries.